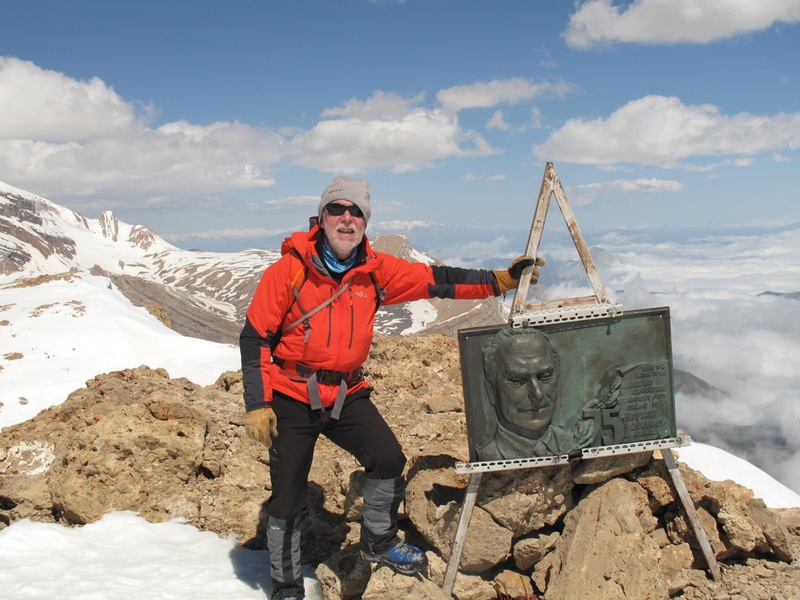 AC member and former Alpine Journal editor Stephen Goodwin was appointed to the MPC at the UIAA general assembly last year and attended his first meeting of the Commission in Baku, Azerbaijan, earlier this month (May). Though Baku lies on the shore of Caspian (and is 28m below mean sea level), the eastern Caucasus is only a few hours’ drive away. Following the meetings - other UIAA groups were gathered as well - two minibuses headed for the mountains with assorted objectives. 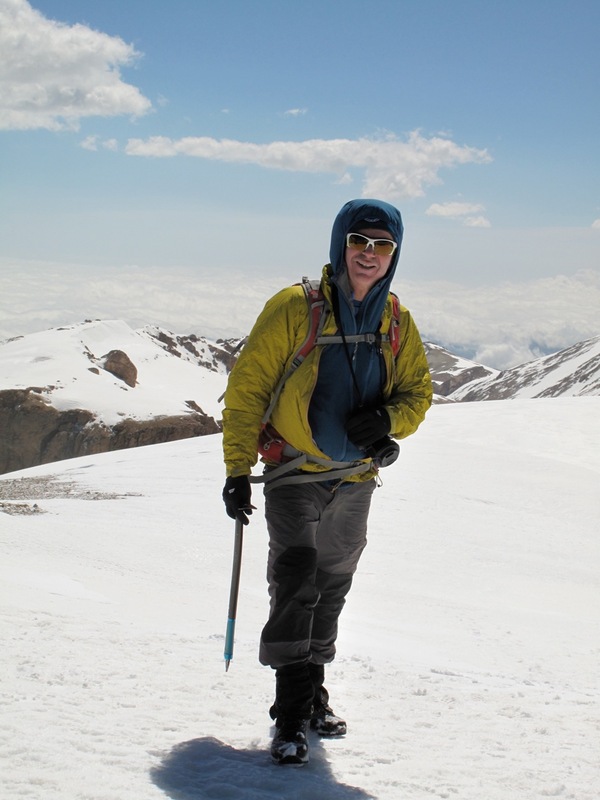 Seven people - including AC members Anne Arran, Steve Long and Stephen Goodwin - reached the summit of Heydar peak (3751m) via a straightforward snow gully. Their reward: a panorama of peaks with great potential for alpinists and ski-mountaineers. Stephen Goodwin writes: Our visit to the Khinalig area and ascent of Heydar in a way illustrated the task facing the Mountain Protection Commission and other bodies seeking to conserve wild places. With a mix of high pasture, easy angled peaks and imposing (though possibly crumbly) cliffs, this is attractive country for hikers, climbers and ski-tourers. It is also relatively unspoilt. The roadhead village of Khinalig, at 2300m, has the hard-life character of settlements high in the Himalaya - a stark contrast to glitzy Baku. The tortuous access road, winding through narrow gorges then clawing up to rolling pastures, is of fairly recent construction. This, and border sensitivities, have acted as brake on mountain tourism and helped conserve the wealth of biodiversity we glimpsed on our visit. Beyond the army checkpoint and into the Shahdag National Park, slopes not long free of snow were rich in primulas, gentians, crocuses and other blooms beyond my botanical ken. Below the ‘Golden Wall’ cliffs that bound the south side of the Heydar plateau, we disturbed Caspian snowcocks, overhead soared two griffon vultures while snow buntings were ubiquitous. 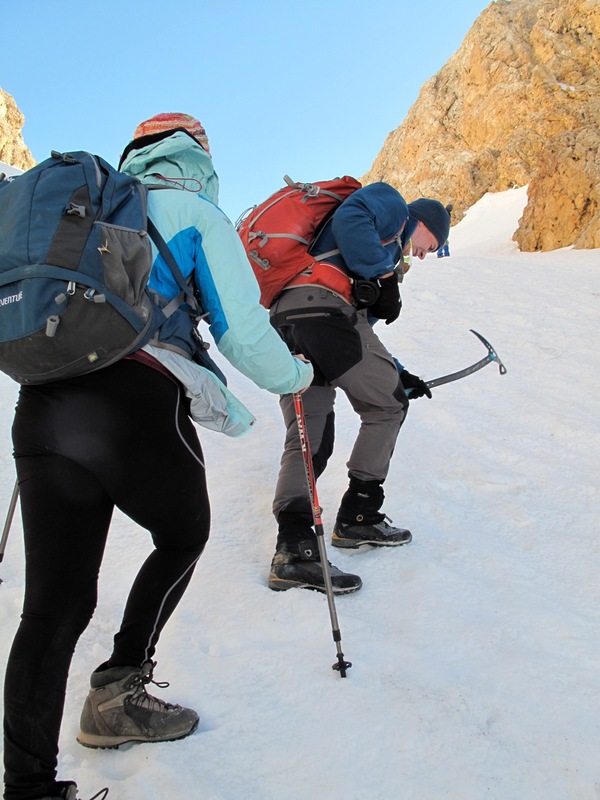 The attractions for birdwatchers and botanists are probably as great as for mountaineers. But balancing an improved tourist infrastructure - home stays in Khinalig might be appropriate - will require care and cooperation. And that is the kind of thing the MPC is keen to promote. The days in the Shahdag National Park shine brighter than those in the committee rooms of Baku. But the latter are important too. The Commission had to plan its main activities, notably the annual Mountain Protection Award recognising initiatives to conserve nature and cultures in mountain regions, and the UIAA’s Respect the Mountains campaign. Then there was a budget to scrutinise and all the other usual committee chores. 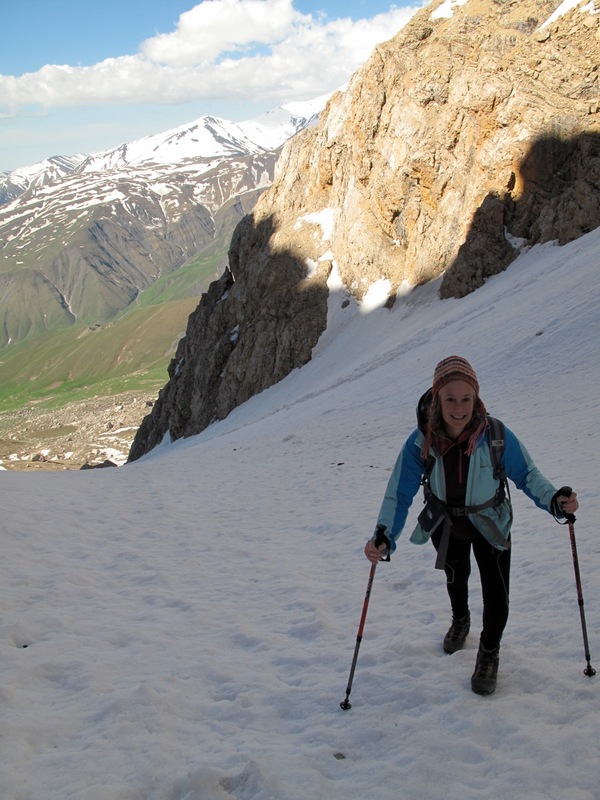 Baku also saw the introduction of a new MPC president: Carolina Adler of the New Zealand Alpine Club, an environmental scientist working as a researcher at the Swiss Federal Institute of Technology in Zurich. She succeeds long-serving American Linda McMillan. (Anne Arran was in Baku as a member of the UIAA management committee and Steve Long as president of the Training Standards Panel - both representing the BMC).